The Peterborough Regiment of the Church Lads Brigade pictured in 1907. 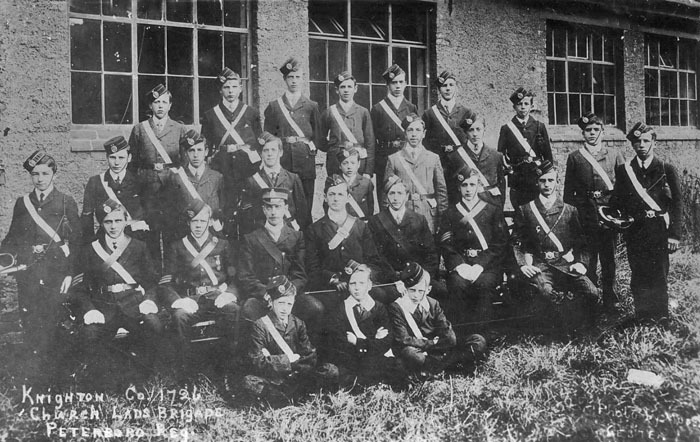 The Church Lads Brigade was founded in 1891 and between 1911 and 1930 it was the largest force of military cadets in the country. The local regiment still operates today and are based at the Brookside Methodist Church on Gunthorpe Road.